Ford led both Friday practice sessions and Porsche topped Saturday’s morning session, but Corvette qualified fastest when it counted for Sunday’s Monterey Grand Prix. Oliver Gavin took his No. 4 Corvette C7.R to the top spot in the eight-car GT Le Mans class factory fight. 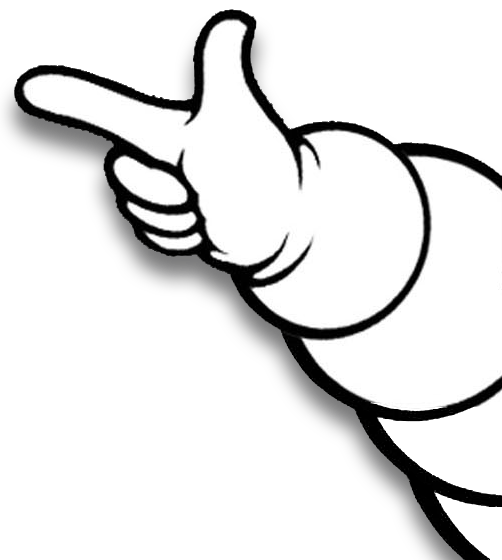 Only 0.440 of a second covered the top seven cars from all four manufacturers, who have selected Michelin as their tire technical partner. 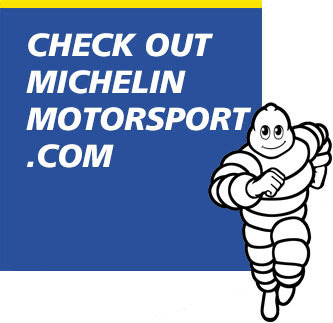 Gavin set the fastest GTLM lap of the weekend at 1:22.700, which was just enough to edge Dirk Mueller in his No. 66 Ford Chip Ganassi Racing Ford GT at 1:22.787. The pole is Gavin’s first set in an IMSA qualifying session since the 2015 Rolex 24 at Daytona. However he started on pole for that year’s Petit Le Mans following both Porsches going to the rear of the field after qualifying. He’ll share his car with Tommy Milner. 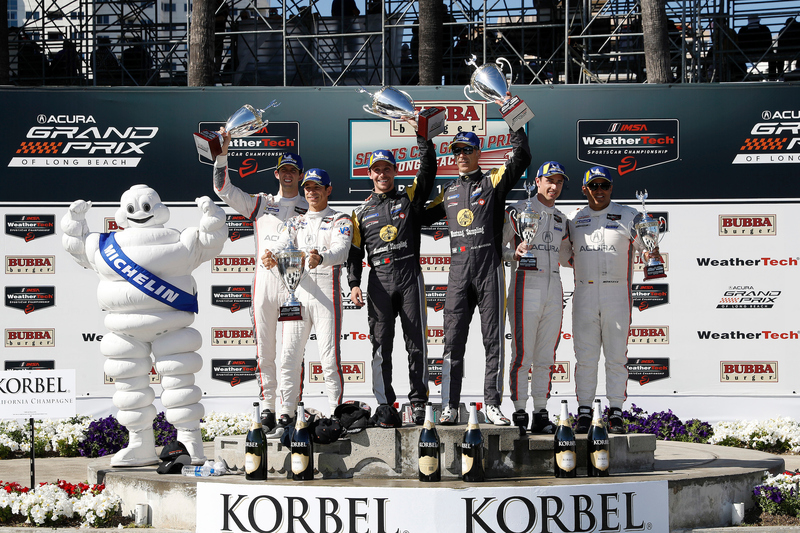 The pair won the only other Californian race of the calendar on the streets of Long Beach in April. If either the No. 4 car or the sister No. 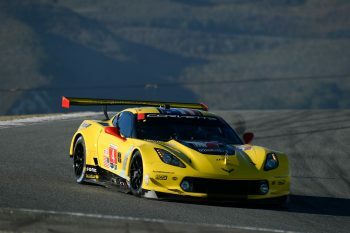 3 Corvette of Jan Magnussen and Antonio Garcia wins Sunday at WeatherTech Raceway Laguna Seca, it’d mark Corvette Racing’s 100th race win in North America. With the No. 4 Corvette, No. 66 Ford and No. 3 Corvette in the top three spots, the No. 67 Ford GT of Ryan Briscoe made it a top-four lockout by the four American cars in class on the grid. The No. 25 BMW M8 GTE starts from fifth ahead of the two Porsche 911 RSRs, which were fastest this morning but unable to replicate that under the sunny skies and warmer temperatures in qualifying. Jordan Taylor claimed the overall pole in Prototype, driving the No. 10 Konica Minolta Cadillac DPi-V.R. His best time was 1:16.181. 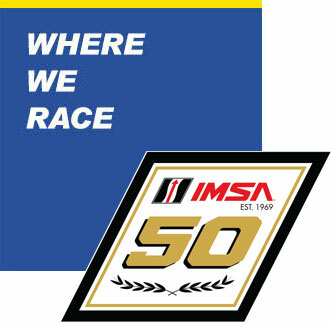 Katherine Legge scored her first IMSA pole in the No. 86 Meyer Shank Racing Acura NSX GT3 in GT Daytona. She is trying to catch the No. 48 Paul Miller Racing Lamborghini pair of Madison Snow and Bryan Sellers for that championship lead. Sunday’s race goes green at 5 p.m. ET on FS1, with live radio coverage via IMSA Radio.